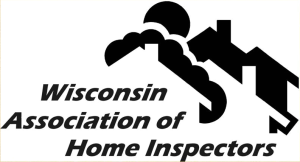 A home inspection is a comprehensive visual evaluation. In older homes it is typical to see extension cords running from room to room; therefore older homes are more prone to electrical fires. DIY electrical repairs are also a danger and are commonly found in garages, attics and crawl spaces. Any issues found should be corrected by a licensed electrician. Common problems found with insulation include improper installation, inadequate maintenance and aged components. Heating and cooling costs make up more than half of the energy consumed in your home. By ensuring you have proper insulation, you can save more than 20% on your utilities a year. The most common problems found here are leaking and outdated systems. Repairs can be made, but when problems can no longer be tolerated, sections or components can be replaced on an as needed basis. Poor drainage around the structure is also a common problem found. Once completed, a home inspector will provide you with a report and include any issues or potential issues with the property. 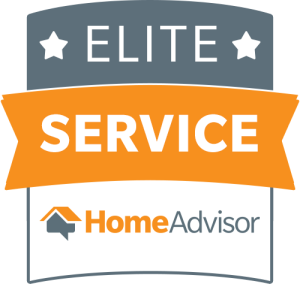 This will arm you with the best information in order to make an educated decision regarding the purchase of your potential new home. Are their deficiencies or signs of potential failure? Are the components installed in a professional manner? Should small things be repaired or replaced now, to prevent large expenses in the future? Our Reports are the Narrative Type (Not a Check list) with color digital pictures, to more define the problem area’s. 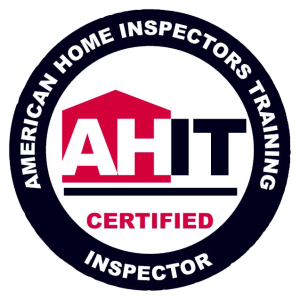 Typically it takes 2.5 hrs for a complete comprehensive inspection. 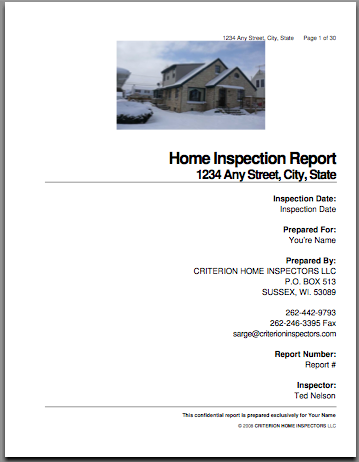 Click on the image below to take a look at an example report.